Barack Obama presents Presidential Medal of Freedom to 21 artists; complete list! Los angeles : On Tuesday, President Barack Obama gave the Presidential Medal of Freedom to 21 artists, sports figures, scientists and philanthropists in a bravura performance in East Wing of White House. The Presidential Medal of Freedom is America’s highest civilian honor and you will be surprised to know that Obama has given more medals than any previous president in history. In fact, his announcement was even more surprising as he held a similar ceremony two months ago that shows how much joy Obama feels in lauding his personal heroes. 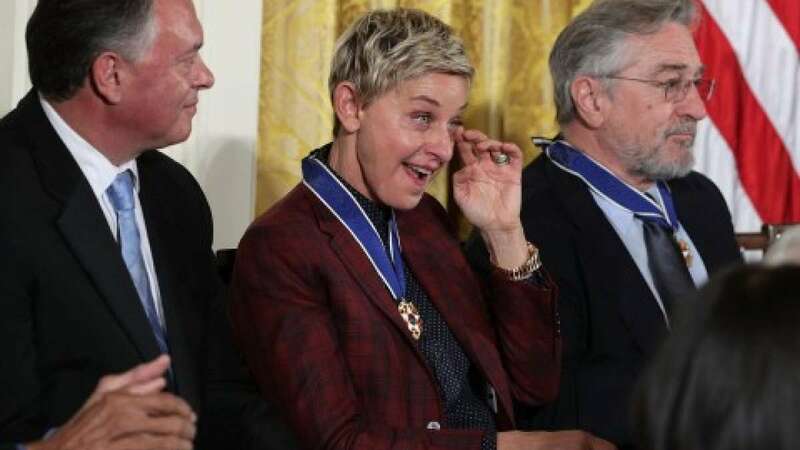 For other America’s prestigious awards there are layers of staff review and formalized procedures but the Presidential Medal of Freedom has often been bestowed via a quirky and haphazard review that reflects the personality of the president. The list of honorees included Robert Redford, Bill and Melinda Gates, Tom Hanks and Diana Ross, Michael Jordan, Ellen DeGeneres, Kareem Abdul-Jabbar, Elouise Cobell (posthumous), Robert De Niro, Richard Garwin, Frank Gehry, Margaret H. Hamilton, Grace Hopper (posthumous), Maya Lin, Lorne Michaels, Newt Minow, Eduardo Padrón, Vin Scully, Bruce Springsteen, Cicely Tyson.